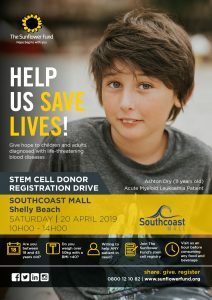 If you are in Shelly Beach on 20 April, please come and register as a blood stem cell donor in support of Ashton Dry, an 11-year-old boy, who has Acute Myeloid Leukaemia (AML) and others who have been diagnosed with a life-threatening blood disease. 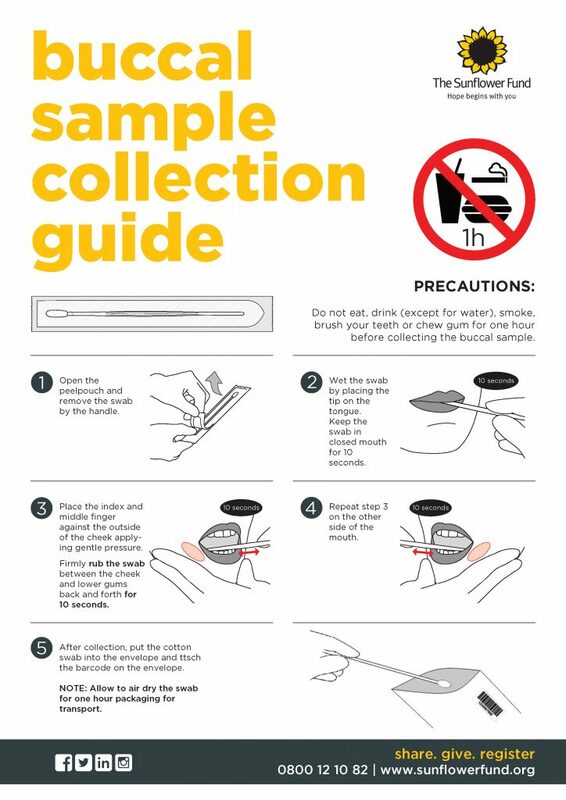 For those who can not become donors but would like to support The Sunflower Fund, you can purchase a Sunflower TOPE for R30 or Hope Band for R20. 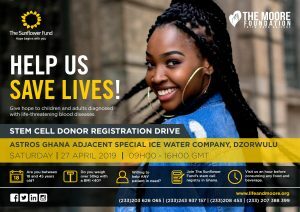 Funds raised here will aid in the recruitment of new blood stem cell donors. 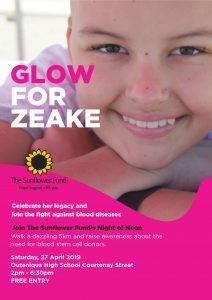 Join us as we celebrate Zeake’s legacy and join the fight against blood diseases by walking a dazzling 5km in her honour. 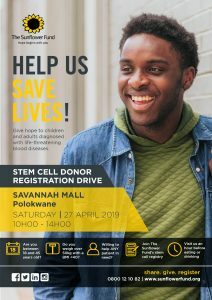 The Sunflower Fund in partnership with The Moore Foundation will be hosting a donor drive to recruit blood stem cell donors. 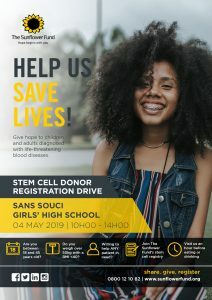 Sans Souci High School is teaming up with The Sunflower Fund, in support of one of their former students, Dr Nabeelah Ismail, who was recently diagnosed with Acute Lymphoblastic Leukaemia (ALL).